A reddish-orange metal, copper is highly conductive to heat and electricity. It shares this ability with silver and gold, as these elements each have an "free agent" electron that is open to negotiations for chemical bonds with any surrounding available atom. All the other electrons are firmly contracted to stay with their team, but this one can be easily influenced to transfer. The metallic bond of a copper wire, for example, creates a crystalline form with a sea of electrons that are in a state of attraction to all surrounding nuclei, existing in a stable, shared state. As a result of these valence electrons, when electricity or heat is introduced to the wire, these free electrons move through the material, creating a current. The valence electron gets a bad reputation for his freeloading ways, but he can't help that he out there all by himself with a weaker bond to the team. Right underneath the free agent electron level is a level jam-packed with electrons - no more can fit on this level. This means that transferring electrons from this level is very difficult. As a result, copper's metallic bonds only exist on this outer layer of free-moving electrons, a pretty weak bond as far as metals are concerned. This is why copper is so soft and easy to bend and cut. This same free agent electron plays a role in oxidation, or rusting. When copper is exposed to water molecules (two hydrogen, one oxygen), this free electron is transferred to a neighboring oxygen atom, bonding it into a molecule. 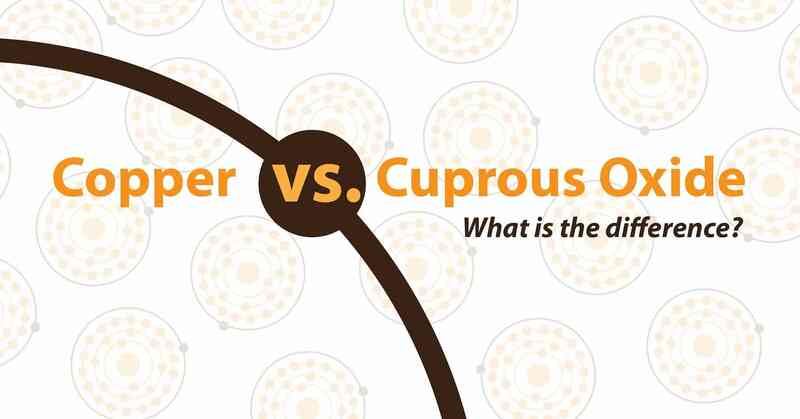 If only one atom of copper bonds to an oxygen molecule, it is called cupric oxide. If two copper atoms bond to an oxygen atom, it is cuprous oxide. Cupric oxide is considered "fully oxidized," while cuprous oxide is still in an active state. The key to cuprous oxide, the aspect that makes is extremely effective as a biocide, is that active state. It is still producing reactive oxygen species, highly reactive molecules. These are unstable molecules that cause damage to cell structures. When it comes to killing bacteria, you want highly reactive molecules. They are very good at pulling away electrons, releasing free radicals, and generally smashing up their environment. In the case of a pathogen, they tear through membranes and destroy DNA-making machinery like a hot knife through butter. Copper needs to oxidize to reach the same level of toxicity, and while cupric oxide is oxidized, it's in a more stable oxidation state so it doesn't wreak the same havoc as his brother, cuprous oxide.